AAJA-Asia » AAJA Tokyo Rocks! 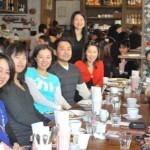 … to 14 at the AAJA Tokyo brunch in February 2011! 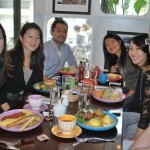 Congratulations to AAJA-Asia members in Tokyo, who have shown that, even starting from a small base, with a little effort, you can build a good-size group that holds regular events in your city.